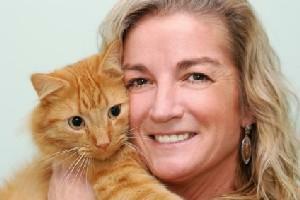 Changes in cat behavior can worry pet owner's. One visitor asks why her cat is suddenly affectionate. Cats are strange creatures. I have a Siamese cat that has hated my husband since he gave her a bath when she was twelve weeks old. Trust me that she needed one! She is fifteen now as well, and she has suddenly decided that she really likes him. She will climb onto his lap and purr and rub all over him. I guess it took her fifteen years to forgive him. As always, if you suspect a trip to the vet might be in order, you should make an appointment with the vet. Otherwise, just enjoy how sweet she has become. It's good that she's being more affectionate.